Richard, now with Joy Fellowship, carried the cross during the Hastings Sunrise Good Friday walk last year. 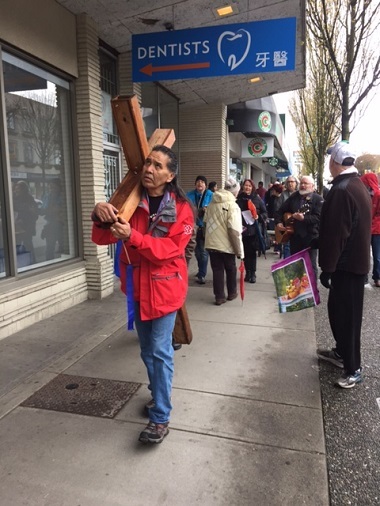 Several churches in the Downtown Eastside will gather for worship on Good Friday, 10:30 am at the Japanese Hall. Stay after for a potluck lunch. We will walk and worship together in loving and joyful witness through our neighbourhood, stopping for 20 minutes at three of the church locations, beginning at the Longhouse Church (Franklin and Penticton), then Vancouver Eastside Vineyard church at St. David’s, and ending with communion at Ward Memorial Baptist Church. We’ll once again gather with other East Vancouver churches to celebrate Jesus’ resurrection and pray for his resurrection power to continue transforming our neighbourhoods. Join us (7:30 am) at the beach at the south end of Trout Lake (John Hendry Park). We will walk, pray and contemplate as we draw connections between this time and the betrayal, arrests and the suffering of creation that we see all around us – but particularly on Burnaby Mountain. Being that Easter is a religious holiday and all, you may have the tradition of attending the Easter morning service that you grew up with. For others, you might just be curious and want to be welcomed regardless of your background or faith. 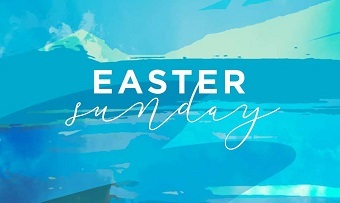 Whatever your denomination, Coastal Church promises a warm welcome greeting and a fun experience with live music, an inspiring message from senior Pastor Dave Koop and to hear the story of the death and resurrection of Jesus Christ, told in a relatable way. Did we mention it’s in a theatre with lots of other people just like you?? (cultural barriers begone!) Also coffee and refreshments will be served afterwards. 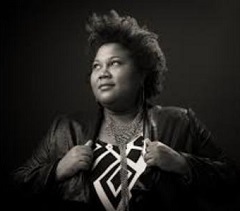 This year we welcome the phenomenal soul/gospel singer Dawn Pemberton, as well as bassist Steve Johnston and drummer Mike Ferguson. Dawn will lead the choir and congregation in traditional gospel songs, in particular the ‘Give Me Jesus’ refrain during the stations of the cross. ‘Because He lives, I can face tomorrow . . . an old familiar song but still true today. Come enjoy Easter with the Worship Invasion family. Powerful, anointed praise and worship to celebrate what Jesus did for us at this very special time in history. For more Easter concerts and events, check the Calendar listings below. The last weeks before Easter often see a glut of “faith-based” movies, and this year is no exception. Two films aimed squarely at the religious market are currently playing in North American theatres, and a third film that tells a biblical story but was made for a more general audience is currently playing in Europe, Australia and elsewhere. Only one of these films has been doing all that well at the box office, though. The big success story right now is I Can Only Imagine, which has earned $39.5 million in its first 11 days of release in North America. That alone puts it among the top 10 “faith-based” films of all time, and there’s still plenty of revenue to come. . . . But the success of I Can Only Imagine shows that “faith-based” films do have some life left in them. The question is how many of these films the market can handle at a time. We may get another chance to find out this Friday when God’s Not Dead: A Light in the Darkness, the third film in the God’s Not Dead series, opens in 1,685 theatres. 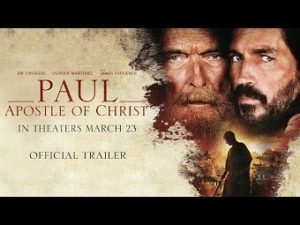 Go here to read the whole comment; there is much more about I Can Only Imagine, Paul, Apostle of Christ and Mary Magdalene on the FilmChat blog. The faith-based genre is showing Hollywood that age and diversity are not necessarily antithetical to box-office success, and offer starring roles to actors who may no longer be at the top of casting directors’ call-in lists. “In last year’s hit The Shack, God was played by a black woman, an Asian woman played the Holy Spirit and Jesus was played by an Israeli,” says Peter Chattaway, reviewer for the faith-based film site, Patheos. A 10-part mini-series, The Bible, cast Samson as black; in the follow-up series, AD: The Bible Continues, several apostles were black and Mary Magdalene was part black, part Chinese. “Churches are increasingly diverse and that is being reflected in the films that are being made for their congregations,” says Chattaway. For the full article, including more from Chattaway, go here. One of the city’s oldest missions in the Downtown Eastside, which has been serving the needs of the neighbourhood’s most impoverished and addicted for decades, has been sold. The building has been standing on Carrall Street since 1889. The Gospel Mission Society moved in during the 1940s and has since been offering religious day services, meals, movie nights and warm showers, and welcomes some of the city’s most vulnerable residents. . . .
Next door to the Gospel Mission, another building was also sold, and is in the process of being demolished. 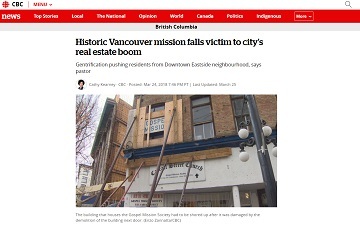 Staff at the mission believe a condo tower is set to replace it. . . .
Pastor Wesley Chadwick spent six months doing repairs and renovating the four shower stalls. The grand reopening was Saturday morning. “It’s somewhere to get clean, to shower and to feel human and to be treated with dignity in an environment that is welcoming,” Chadwick said. But the pastor’s efforts will soon be for naught, because the building will eventually be demolished and the mission will need a new home. The VanMan Male Choral Summit gets a high-octane kick off with an incendiary performance by TAKE 6, the most awarded a cappella group in history! Heralded by Quincy Jones as “the baddest vocal cats on the planet,” this 10-time GRAMMY award-winning ensemble brings their intoxicating brew of gospel, jazz, R&B and pop to the Vancouver’s Queen Elizabeth Theatre for an unforgettable evening. TAKE 6 is an American a cappella gospel music sextet formed in 1980 on the campus of Oakwood College in Huntsville, Alabama. Their eponymous debut album, released in 1988, won them two GRAMMY® Awards and resulted in top 10 appearances on both the Billboard Contemporary Jazz and Contemporary Christian Charts. The group’s contemporary style integrates R&B and jazz influences into their devotional songs, with a swinging, harmony-rich sound. In 2008, TAKE 6 released The Standard, which was a first-time voyage for the group into a more traditional jazz repertoire. The Standard, a critically hailed success, garnered three more GRAMMY® nominations providing them the distinct honor of being the most GRAMMY® nominated vocal group in history. 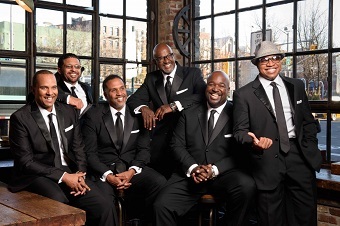 TAKE 6 released 18 albums and earned a total of 12 GRAMMY® Awards, five Dove Awards, and a Soul Train award. They were named Vocal Group of the Year by Black Radio Exclusive as well as Best Jazz Vocal group for four consecutive years in a Downbeat Readers Poll. Truly their heart for the gospel and extraordinary talent caused the message of hope to be heard by jazz and pop listeners alike.